Join us in Germany’s Black Forest in 2019! 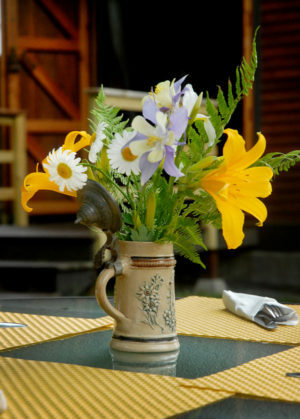 The Fledermaus Teahouse will be opening for the season on Mother’s Day, May 12! If you would like to make a reservation for Mother’s Day, please note that we can only accept reservations until May 5 by email, as we will be on our Fledermaus Tour to the Black Forest of Germany, and will not be able to respond to phone messages. After May 5 we will be able to accept reservations by phone and email. Thank you! Welcome to our little gem in the hills above the town of Johnson. We are so glad you found us and invite you to come and visit. Regular hours are Thursday to Sunday, 12 – 7 PM. 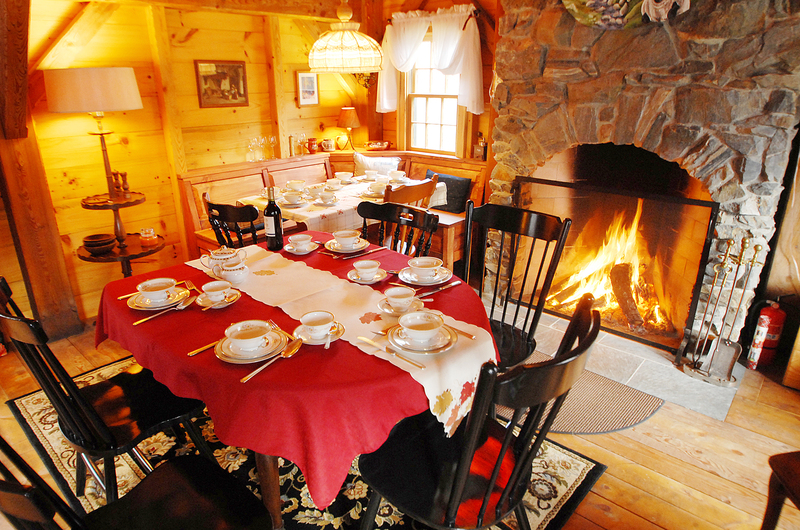 Experience a European-style barn café in the heart of the Green Mountains of Vermont. Enjoy traditional European confections, delicious savory dishes and a hot or chilled beverage, all the while surrounded by the heavy timbers of a hand-crafted carriage barn. When the summer heats up, sit in the shade beneath the canopies of the four magnificent maple trees outside the café, and when the weather chills, by the warmth of the Rumford fireplace within. Fledermaus Teahouse is situated at 579 Plot Road in the town of Johnson. We have both daytime and evening hours through October. To make a reservation please call 802.635.7408. Directions: From Johnson village, take Pearl St. and travel 1 mile up Clay Hill to Plot Road on the left. We are 1/2 mile down Plot Rd. on the left side.